The claims that both the PRC and Taiwan make to the islands are both recent and flawed, argues one blogger. It remains a mystery to this writer as to why this simple fact is never mentioned in media reports. It is not difficult to find this out. A 2012 paper in Asian Affairs by Yap et al gives a rundown of how the Republic of China government in Taipei altered its maps and texts to reflect this historically novel claim. Official National Atlas of China maps produced by Taipei in 1959, 1963, and 1967 all show the Senkaku as Japanese (part of the Ryukyu), use their Japanese names, and do not refer to any dispute in their status. For the 1972 edition the maps were altered to show the Senkaku as ROC territory, using their Chinese name, and an official declaration that borders were not necessarily official was printed on the maps for the first time. However, preparation was hasty and the index still referred to the Senkaku as Japanese. Other official texts were similarly altered. Prior to 1971, official statistical abstracts identified Taiwan's northernmost point as Pengjia Islet, just off the northeast coast of Taiwan. 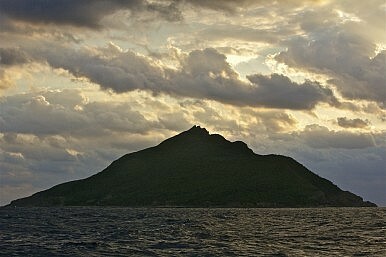 However, after 1971, islands in the Senkaku were presented as the northernmost and easternmost points of Taiwan. The situation for the PRC is similar. Though nothing academic appears to be out there, this excellent post rounds up many official texts and maps from the Beijing side. In fact, down to 1969 maps produced by Beijing show the Senkaku as undisputed Japanese territory, while Beijing's Taiwan maps never connected the Senkaku with Taiwan. As with Taipei, official statistical abstracts listed Pengjia Islet as Taiwan's northernmost point until 1971. This 1953 Renminerbao piece identifying the Senkaku as Japanese and using their Japanese names is well known. After forty years of "dispute" periodic declamations that the Senkaku belong to China by officials from Beijing and Taipei are a staple of Sino-Japan relations. The reader is invited to search for such declarations prior to 1970. In addition to altering maps, Chinese apologists also alter geography and pillage history. A recent piece in The Diplomat, transmitting Chinese claims, contended that the "Black Water Trench" constituted a boundary between the Senkaku and the Ryukyu Islands. In reality, the Black Water Trench/Ditch, noted in ancient travelogues, was a notoriously dangerous feature of the Taiwan Strait between China and Taiwan. It marked the boundary between Xiamen and the Penghu Islands, hundreds of kilometers away from the Ryukyu. The Diplomat piece also referenced Han-yi Shaw's recent New York Times piece. Shaw writes "And according to Taiwan gazetteers, 'Diaoyu Island accommodates ten or more large ships' under the jurisdiction of Kavalan, Taiwan." At the bottom, Shaw later added images of three gazetteers from 1722, 1852 and 1872. The reader could be forgiven for assuming that there is some continuity of administration from 1722 to 1872 based on Shaw's construction. In fact, the first stable Chinese settlement in Kavalan (modern day Yilan) was only in the 1790s; there was no Kavalan administration in 1722. Worse, the 1871 text imaged at the top of the commentary says "1000" ships, not ten, at the harbor "over the mountain (island)." The Senkaku have no such harbor, though over the mountain from Yilan is the large harbor of Keelung. Moreover, while in his New York Times piece Shaw refers to the islands being under the jurisdiction of Kavalan, in his academic work Shaw translates that as being simply within the defense boundary. Shaw's presentation is thus highly misleading. The Senkaku Islands "dispute" shows one of China's most important and least acknowledged forms of soft power: outsiders view it as exotic and opaque, giving undeserved weight to its territorial claims on its neighbors, all 20th century re-interpretations, as questionable as Chinese milk powder. The current link both Chinese governments make between Taiwan and the Senkaku shows how China makes its spurious claims reinforce each other. Finally, the "dispute" also highlights a key function of China's claim to 5,000 years of history: its creation of a faux historical continuity which can then be quote-mined and re-interpreted for support for China's modern and wholly anachronistic expansionist territorial claims. Michael A. Turton blogs at the View from Taiwan. China’s long postwar silence undermines its claim to sovereignty.